Christmas is fast approaching . 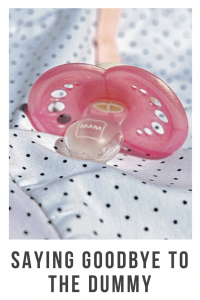 In our house Christmas Eve is going to be the day when we say goodbye to the dummy for my eldest . She will be nearly three and I feel it’s now time she needs to say goodbye to it. Ava’s showing a great interest and excitement with Christmas this year . So it only seemed logical that I would try to get rid of her dummy and incorporate Santa into it. 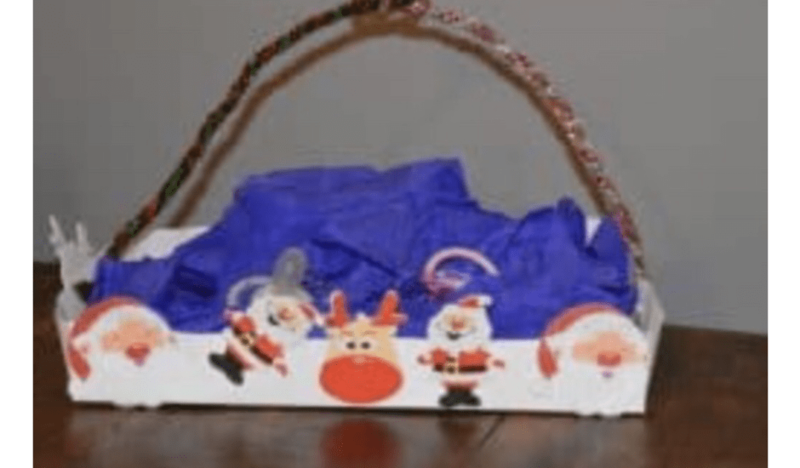 So this months Bostik blogger craft is slightly Christmas related but with a bit of a difference . 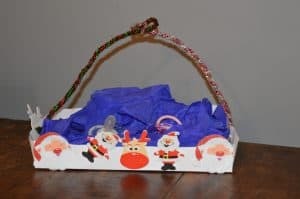 Me and Ava made a basket to put her dummies in so Santa can take them with him on Christmas Eve when he brings her gifts. To start with you will need to make your basket . For younger children this may be a little hard and they may need an adult to do this for them. On a piece of card you will need to copy the markings on the picture below. 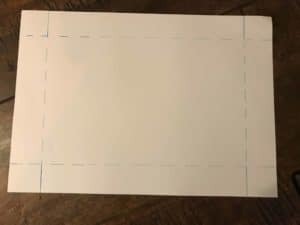 You will then need to cut along the solid lines near each corner. Once this is done you can start to make your basket/box . Using a sharp knife you will need to score along the dotted lines. Each corner will now have a section that looks like a flap . You will need to apply glue to the reverse of this flap .Then bend it into place to make the corners of the box/basket . To glue the flaps we used Bostik PVA glue and this worked fine. If you’re using thicker card you may need some stronger glue . To ensure that my corners we stuck together . 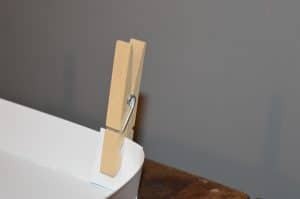 I placed a peg on the glued section so that it would stick in place. Once dry you can then let your child decorate . Ava wanted to use the Christmas stickers we had been sent. She stuck these all along the outside of the box/basket . We then scrunched up some tissue paper and put it inside to make it look prettier. To make the handle I simply twisted 2 pipe cleaners together and pushed the ends through the box/basket. I did this both sides and twisted the two pipe cleaners together to make a handle. 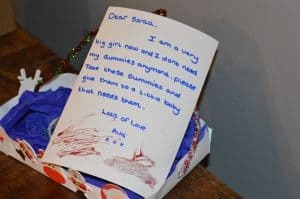 To finish it off we wrote a letter to Santa asking him to take Ava’s dummies away. I’m going to keep this on the side until Christmas Eve and keep talking about it . In the hope that Ava takes it in and she understands what’s happening . Hopefully there won’t be too many tears as she will have lots of presents to replace her dummies. 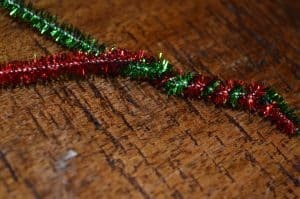 I hope you have liked this craft it is a little different to the usual Christmas crafts but I’m hoping it will work for us and hopefully work for you if your going through the same thing.